Welcome to the Resources section of Design Your Thinking. This is a place where you will find handpicked tools and other resources that I actively use, or have used in the past. It takes a lot of focus to follow your dreams and thrive at it. Using the right set of tools play a big role in your success. That's why I list only those tools that I have personally used and trust. Please do not hesitate in reaching out to me if you have any questions about any of these tools. My business thrives on many of these tools, and I wish these tools will help you thrive in yours too. Some of the links on this page are affiliate links and I will earn a commission if you purchase through those links. These are all things that I currently use or have used before and I am recommending them because they are helpful and are companies that I trust, not because of the tiny commissions that I may earn from you using these products and services. Please buy them only if you need to, and find yourself in need for the product. Thanks, and I appreciate your understanding. Get 4 Super Valuable resources to help you get started with hosting your website, creating the most profitable pages and growing your email list. Wordpress Plugins Express PDF guide where I help you cherrypick the handful you'll ever need. SiteGround Like a Pro PDF guide to help you get started hosting your Wordpress sites on SiteGround. Develop Your Personal Brand guide to design your online personal brand from scratch. I have been hosting websites on Wordpress and Drupal for over 12 years. A year back, I switched all my websites to SiteGround. Why? Simply because they are transparent and their support teams offer hands-on support 24x7. Plus, they have one-click install support for Wordpress and most other content management softwares. You can host multiple websites with one hosting package. They also have offer free SSL certificates for all your websites. With just one click setup for SSL, you build instant trust with your audience. I very highly recommend using SiteGround for your website, and you can get started right now for $3.95/month. If you want your Wordpress site to look like a $50,000 website designed by the best designers, this is your answer. Thrive Membership is an all-in-one online business toolbox, as they like to call themselves. What you really get with this membership is an access to eleven powerful tools to build your brand. The software bundle saved me $99/month on lead generation tools and thousands of dollars on Wordpress developers. It's powerful. Every inch of my website was built using Thrive Architect, one of the key resources that Thrive Membership gives you. I strongly recommend Thrive Membership. In this video tutorial, I teach you how to get your brand new Wordpress site to a Pro website in under 30 minutes. I show you how to use the tools in the Thrive Membership toolbox to build your website with blog, opt-in forms and a branded homepage. If you are looking for the simplest way to engage with your audience and build customer deliver with your customers, ConvertKit is for you. ConvertKit is a powerful-yet-simple tool. Simply because it allows you to build mind-boggling conversations with your audience. You can do this even if you have zero experience using software tools and resources. I highly recommend ConvertKit if you create content on blogs, YouTube, podcasts, or even social media like Instagram. Have you wanted to create a website but have no clue where to get started? I created this step-by-step tutorial walkthrough just for you! In this detailed tutorial with full instructions and pictures, I hand-hold you through the entire process of creating a website from scratch. In this 10-step tutorial, I teach you what a website can do for your business or personal brand, how to create one (find website hosting, buy a domain, etc. ), what content to create based on your business, which pages you must create, how to create these pages and content, and finally how to build engagement using an email list. At the risk of sounding like a squeaking wheel, I want to wholeheartedly recommend Siteground hosting. There are multiple reasons for doing this. The biggest of them being transparency and technical support. They have the best in the league. You can host multiple websites in your Siteground hosting space. You can also install SSL certificates for all fo them for free. SiteGround offers the best set of resources you can find in a hosting platform. Wordpress.com is the big daddy of blogging, and is the most popular single platform for blogging. 30% of all websites online is powered by Wordpress. I've been using both Wordpress.com and the self-installed version of Wordpress for over 12 years now. I've also used many other platforms including Blogger, Tumbler, Typepad amongst many others. Wordpress clearly stands out from many angles. Ease of use, versatility, performance, security are the top most of them. If you are looking to get started with your first blog, signup for Wordpress.com. Studiopress Themes are the gold standard when it comes to Wordpress themes. Studiopress Themes use the Genesis Framework, which is by far the most popular Wordpress frameworks. Many indie Wordpress Themes and plugins are made to work on the Genesis Framework too. I very strongly recommend using a Studiopress Themes theme for your website. Wix has been around for quiet sometime now. I used Wix back in 2009, and I have used it quiet recently too. The platform has evolved, and it looks great today. Wix is a simple website hosting tool that comes bundled with a bunch of features if you are looking to get a website for your business or brand overnight. From content to payment, Wix has it all covered. If you are looking for a more static website with e-Commerce capabilities, go for Wix. It's great. You have a website that get a lot of traffic (over 100,000 monthly), you will enjoy WP Engine. I have used this for sites I managed in the past. WP Engine and SiteGround are industry leaders. WP Engine offers the best "managed Wordpress hosting". They have the best underlying hardware and software to help you managed your Wordpress website with the highest performance and security standards. Like I first said, if you have a high-traffic Wordpress site, signup for WP Engine right away! You won't regret it. Click the button on the right to get 20% off on the startup plan, or get 4 months FREE when you pay annually. I really think it's worth reaffirming my belief in Thrive Membership again. This is by far not just the best landing page builder, but I'd argue that Thrive Membership is a very good alternative to a funnel builder like Clickfunnels too. I created this video demo to show you how fast Thrive Architect helps you create your website pages. Thrive Membership does 10x to your website from helping you build an end-to-end funnel, with excellent third-party integrations. Do check the demo where I show the integrations too. I highly recommend Thrive Membership for your website and online brand. At $19/month, this not just beats other alternative platforms and tools with function, but also price. Take my word and do try Thrive Membership. I use Namecheap for all my domain names for two reasons. First, their interface makes it really easy to look for domain names. Second, buying domains from Namecheap is actually cheaper as compared to other domain resellers. I also like Namecheap's smartphone app for iOS (and Android) as it makes the search super smooth and they have a great 2-factor authentication that doesn't allow anyone to login into your Namecheap account from any other device once you have configured your app for 2-factor authentication. I really think Namecheap is a no-brainer. Just pick your next domain name with Namecheap. You'll know what I mean. UpdraftPlus is the tool you want to get to both backup and migrate your Wordpress site. I've done backup and migration in many different ways, but UpdraftPlus is my favorite. First, it's the backup. Websites become a liability over a period in time purely because of the content you create. It's important to backup your content frequently (I do mine every night). Secondly, It's important to think of having a replica of your website where you can try newer layouts and designs (especially if you have a powerful tool like Thrive Architect). Once you have a new design change, it's important for you to migrate your site to the new design. UpdraftPlus is the tool you want to pick if you want to do both of this. I highly recommend it. Security is the topmost priority if you have a website for you or your brand. Wordfence is a Wordpress plugin for securing your site. Wordfence is a great plugin and is updated regularly. It constantly monitors your Wordpress site and keeps you up-to-date on anything suspicious. This is a free plugin, and they have regular updates coming out. So install it right away and secure your site. Limited Login Attempts is another Wordpress plugin to secure your website of spurious bots and hackers. Limit Login Attempts allows you to restrict the number of times an unauthorized logins can be attempted. This is definitely a must-have plugin for your Wordpress website. 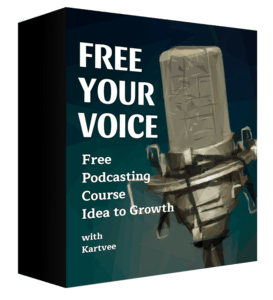 I created this free podcasting course specifically for solopreneurs like me. I know how much it takes to start and grow a business, and I also understand how much time plays a big role in everything we do. This course is not just about learning to start a podcast, but to help you create a podcast that only YOU could've created, that reflects the personality of your brand and the person you are. It is 100% free, and I continue to update it almost every month. This course takes some serious work, and is not for those who don't want to put in some work. But, if you do exactly what I say, you will end up with something you are proud of. I look forward to seeing you inside! Libsyn is where I host my podcasts, and I recommend it. You can host multiple shows from one account, and Libsyn has the built-in capabilities to distribute your shows to Spotify and Youtube. Ecamm Call Recorder is a great piece of software I use to record my interviews on Skype. Call Recorder can record multiple interviewee calls and has the built-in tools to split individual call attendees into separate sound files. This is a great feature as it helps make-up for audio quality by individual speakers. So if you are creating a show where you are going to have guests joining in on Skype, get yourself Ecamm's Call Recorder. Intros and outros are key to any well-produced podcast. Music Radio Creative is the service I use to get these and the other music pieces produced. Music Radio Creative is essentially a service where you can get the music, voice-over and special effects done as per your show and brand's requirements. You just have to give them a script, select the person who's voice you want for your show and they produce it for you. In case you need someone to even help you with the script and use specially produced music, Music Radio Creative does that too. Just try Music Radio Creative, and I'm sure you'll love their work. The ATR-2100 by Audio Technica is one of the microphones I use for my shows. This is one of the best microphones you can find in the sub-$75 segment. What I really like about this microphone is that it has a great sound quality, extremely handy for travels, it can be used with both USB and XLR connections, and comes with a stand you can use while traveling. If you are looking for the first microphone for your podcast, here it is, get the ATR-2100 by Audio Technica. If you have a bigger budget and are looking for a more expensive microphone with a greater quality, get the Heil PR 40. Heil PR 40 is a great microphone in the sub-$500 segment. It's a professional microphone and of the dynamic cardioid type. This is one that can be found in studios and you will love its quality. I highly recommend Heil PR 40 and if you are getting it, do get a the right mixer or a mic activator (check below for my recommendations). I understand there are times when one needs a smaller and more compact alternative. Perhaps one with both the headphone and mic combined. Logitech ClearChat H390 is one really good piece of microphone with headphone and I've used it quiet a bit during travel. The audio is clear and the headphone has a nice padding, which means you can comfortably wear it during long conversations. I highly recommend the Logitech ClearChat H390. Do pick up a cloth case if you end up going with this option, as it doesn't come with one out of the box. Take my word here. Mackie is the brand of mixers you should pick, if your need is podcasting. I use the Mackie ProFX8 V2, and it's the best if you are looking for recording a maximum of 2 guests with a line-in for some music. I like the Mackie ProFX8 V2 for its build quality and more importantly their pre-amplifiers or preamps. The preamps in this mixer offer a good gain, which is very much needed for dynamic microphones like Heil PR 40. This mixer also comes with special effects presets (16 of them) which is useful even if you are planning to do a live recording. I highly recommend this piece of hardware. Not all podcasts need a mixer. If you don't need a mixer, but still need to improve the gain of your dynamic microphone like Heil PR 40, get yourself Cloudlifter. Cloudlifter helps boost the gain levels and thus helping you record great audio from your microphones. I don't use Cloudlifter as I use a mixer. But a lot of people I know use Cloudlifter and have told me a lot of good things about it. When recording sound, it's important we monitor the quality. The Sony MDR-7506 is an awesome professional headphone for monitoring sound. This headphone should be a part of your kit. Please avoid using a noice-cancelling headphone for monitoring, as I always feel that they do something to the actual sound being recorded, and don't give you the true quality. If you are creating your podcast recording kit, make this a must-have member of that kit! It can get pretty tiring on your ears when wearing the headphones during post production and even recording. Wicked Cushions have great memory-foam padded ear pads for headphones, and you should get them for sure. I use Wicked Cushions for my Sony MDR-7506, and I just don't feel like removing my headphones all that frequently. Get them! You don't always need a recorder. But if you are doing live interviews like me, get the Zoom H5 recorder. Zoom are one of the finest recorders you can find in the market. These Japanese-made recorders are super easy to use, and do so with a great sound quality. The Zoom H5 comes with a built in X/Y microphone. It can record upto two XLR lines and one through the X/Y microphone that also can double up as a line-in for a lavalier microphone through the line-in socket. It also has a headphone socket for monitoring, along with a built-in speaker. I highly recommend the Zoom H5 if you plan to do more of in-person interviews, or if you wanted to also wanted a second copy of your interviews. Want a logo for your brand? Try Brandmark now. I started using this recently and have fallen in love with it. Brandmark is essentially an "AI design system" that's been trained with over 1.4 million images to instantly generate unique logos for your brand, based on the design brief. Once you sign up, you are asked a few questions, and based on your answer, Brandmark starts to generate an endless flow of logo options. You only pay for a logo if you like it. I really think you should signup and try Brandmark even if it's just to get some inspiration. It's free. Pixelmator is the tool I use for editing photos, pictures and creating artwork for this website. This is a great alternative to Adobe Photoshop, and can work with PSD files. Get it if you want all the niceties of Adobe Photoshop at a fraction of the cost. I use Canva for most of the artwork and social media cards when I'm at my desk an a good internet connection. Canva is a great free tool that you can use to create social media cards, ebook covers and more. Do check them out and I'm sure you'll love it. Unsplash is a great royalty-free image repository. They have a ton-load of very high quality photos that you can use for your website. The best part is, it's free to use. I use Unsplash for a lot of my work, and I'm sure you'll love it like I do. Are you creating videos on YouTube? Wondering how others' videos are ranking higher, what your videos are missing? Use TubeBuddy. TubeBuddy is free and gives you a ton of data about your videos and that of others. From keywords to other key statistics, TubeBuddy has it all covered. I highly recommend TubeBuddy if you are running a YouTube channel. Screenflow is the best tool you can have in your video creation / editing toolset ever. Having used Camtasia for Mac in the past, I find Screenflow way ahead in this game. Screenflow has a richer set of editing tools available. With the acquisition of Flowtility, you can now get Screenflow with two more optional bundles of motion graphics and transitions. In addition, it allows you to use a bunch of text animation, use the Mac touch-bar, create GIFs and directly export your videos flawlessly to multiple places including YouTube. I highly recommend Screenflow if you are using a Mac and are in need for a tool to help you create and edit videos. We use Screenflow to create videos, don't we? What if you had access to unlimited stock videos, photos and music to create the best videos? Screenflow Super Pak gives you access to over 500,000 unique media clips including videos, photos, add transitions, motion backgrounds, royalty-free backing tracks and more simply by dragging them to your timeline from the Stock Media Library tab! If you are a vlogger, videographer or just someone creating videos to showcase your creation, I very strongly recommend you getting the Screenflow Super Pak. Camtasia Studio is one of the best tools I've used on Windows. I haven't used it in the recent past as I don't use a Windows computer. Camtasia has a lot of useful tools to create your videos. My favorite used to be the Smart Focus feature that allows you to add a zoom-in and zoom-out to your videos after they are recorded with Camtasia Studio. This is so useful because it allows you to control what the viewer sees, and hence controlling your message. I highly recommend Camtasia Studio if you are a Windows user. Loom is a great tool I started using lately for doing quick screen recordings and sharing with my team and even on YouTube. Loom is a free tool and a Chrome plugin that allows you to record your desktop and optionally your web camera with zero setup. You install the Chrome extension, configure the mic and camera and you are done. I highly recommend Loom to anyone for YouTube videos and also team communication using videos. If you need to bring your brand to life through logos, posters, stationary and more, I recommend you try 99 Designs. 99 Designs is a platform where you can hire talented designers across the world to come together to help you solve your brand identity problem. Once you signup, you submit answers to a few questions about your brand and you are all set. Once you submit those answers, you'll start to see ideas and designs show up in your inbox. Once you get a good number of response, you can pick whichever design you like and only pay for that design alone. I highly recommend 99 Designs for your next visual design project. Fiverr, like 99 Designs, is a marketplace. If you like to get a level deeper to pick your designer, yet don't have the budget to hire one, Fiverr is for you. With Fiverr, you get to personally look at hundreds of designers and artists for your logo design, or voice over, or artwork, and so many other creative needs of yours. Just signup and browse the creative talent by category and pick the one you like based on their portfolios. I've used Fiverr and highly recommend it if you need designs or frankly, for ideas and inspiration too. Fiverr Pro is a perfect combination of Fiverr and 99 Designs. If you are someone who believes in cherry picking creative talent like you do in Fiverr, and yet want to get the top creative talent shortlisted for you like 99 Designs, you should consider Fiverr Pro. I haven't use Fiverr Pro, but have heard good things about it. So here's my recommendation based on that. Zapier is like a magic wand. If you use two software tools a lot, and wish they could somehow talk to each other, wave your magic wand with a Zap, and you have them talking just fine. Seriously? Is that so simple? Well not literally, but Zapier does give you the feel. Zapier is a tool that can help you connect two different pieces of software to help you meet your business goals. If you are interested, listen to this interview I did with Mike Knoop, one of the co-founders of Zapier. I highly recommend Zapier. Try it, it's free. If you are someone who interviews people either for a podcast or for a blog, you probably are looking for a helping hand to get all those audio interviews transcribed. Rev does that for you. Rev is a service that connects you to a crowdsourced set of transcription experts to help you get your audio interviews transcribed. And because it's real people doing the transcription for you, the outcome is of top quality. They identify the different voices and give you a transcribed version of a conversation (not just a bunch of words). I highly recommend Rev if you are serious about getting quality transcription. No, this is not some weird self-help book from the abandoned corner of an old book store. How Will You Measure Your Life is written by Prof. Clayton Christensen, a world-class expert in the areas of disruptive innovation and Karen Dillon who was the editor of Harvard Business Review publication. Prof. Clayton once helped Intel's CEO turnaround the company and worked with world-class leaders like Steve Jobs, and the like. In this book, he uses his experience with helping businesses to help you live a better life and have great relationships. Really? Yes, I was blown away by how deep the book is, and this book was one of the reasons I am what I am today. I very highly recommend this book. You can totally trust me on this, and I am sure you'll love it more than I do. I always thought that our mind is a supercomputer and that we can do multiple things at a time. That foolish thought changed when I read this book. The One Thing by Gary Keller and Jay Papasan very successfully drives home the message which is essentially the title itself. In this book, you will see the hard truth and the authors do a fantastic job at compelling you to drop the balls and pick the one ball you want to run with first. No more juggling. I highly recommend The One Thing as this is one of the reasons I suddenly started to see myself get so more productive and efficient. "Will Change the way you Think"
True to it's name, Think And Grow Rich is all about the power of our mind and thinking. It's less about growing rich, and more about the thinking. Think And Grow Rich by Napolen Hill is a must read if you think about richness and everything else in life is not accessible for everyone. 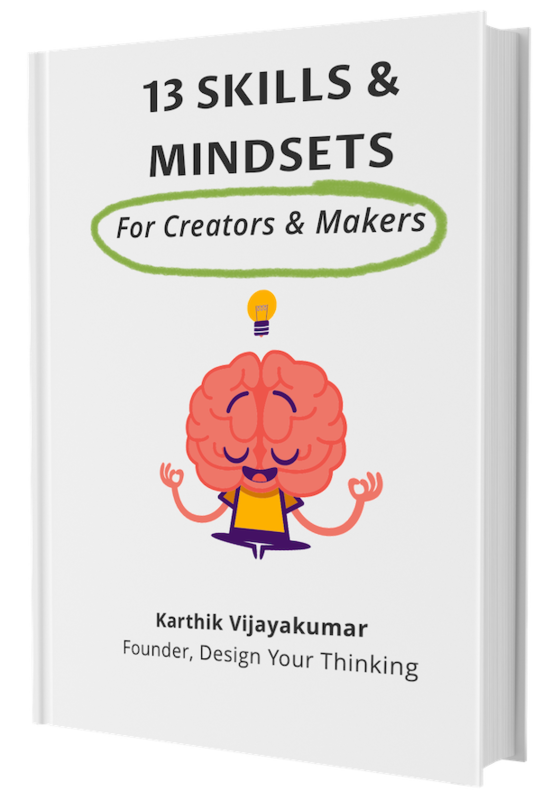 The author delves into the power of the human thinking and how thoughts manifest to reality. 100% true and I've personally lived and tested every bit of it. I highly recommend Think And Grow Rich. You can't go wrong with this buy. Love reading books but don't find the time? Listen to them! That's what Audible lets you do. Audible is a service that allows you to listen to your favorite books when you are driving, running, cooking, taking your dog for a walk or whatever else you do. Try Audible now. Get a 30-day free trial of Audible and your first book is free. You can listen to your favorite book right away. Do you seem to feel like time slips away when you start to work on something important? Using a timer is a great way to be mindful of the time we spend on doing something. The cube timer is my personal favorite. Cube Timer is a handy timer and is physical. Physical timers work great as a visual reminder of the time, apart from the fact that the Cube Timer actually reminds you of the time with a beep. I use the Pomodoro Timer on my Mac (also has a Windows version) and it's free. If you are not into physical Cube Timers, this would perhaps work for you. I started to find more value with Cube Timers, but this Pomodoro timer is something many seem to be happy with. A well organized set of tasks can help you think clearly and execute the tasks more effectively. Trello helps you do just that. Trello is a simple-yet-effective tool to help you visualize your tasks, organize them and track their progress. Trello works across all devices and can also be accessed from a browser. If you are using Trello and have got comfortable, try the Power-ups. For example, I use Acuity Scheduling for scheduling my podcast guests. I've wired Acuity Scheduling to Trello using Zapier. Whenever a new guest signs-up, I have cards created on Trello to research the guest and prepare for the interview. Are you wanting to reach out to someone, but not sure what their email address is? Voila Norbert lets you do just that. Voila Norbert lets you lookup someone's email address based on their name and the company website. Simple as that. Foundly is like Voila Norbert on steroids. It's an automatic prospecting machine. Foundly helps you find prospects in your target market, get their email addresses and social handles, create and send personalized email followups, track them and do a lot more. Are you someone who sends a lot of emails or creates a lot of documents or write blogs? You might know this - English can sometimes be crazy, especially when it comes to the grammar. Grammarly helps you fix it. Try Grammarly as it helps you with the grammar while you focus on the content. From checks to suggestions to rewrite, Grammarly does it for you no matter what kind of written work you produce. Try Grammarly now and I can't recommend this more! Managing physical documents in a digital world can be overwhelming. How many times have you searched for a document after stoving it safely somewhere in your office or home? Camscanner can help you with that. Camscanner is a handy photocopy tool that also has other useful features including my favorite - tagging. The next time you get an important document in mail, scan it using Camscanner and tag it with a location of the physical document. That's it. The next time you need to lookup that document, just open Camscanner and see the document. If you need to locate it, look at the tag! I totally recommend Camscanner. Too many notes floating around and unable to lookup? Install Evernote. Evernote is a single place where you can create and organize all your notes, recipes or whatever it may be. Have them organized by Notebooks and tag the notes individually. You are sorted. I highly recommend Evernote if you are someone who scribbles down a lot digitally.